I took a dump in my parent’s shower last night. 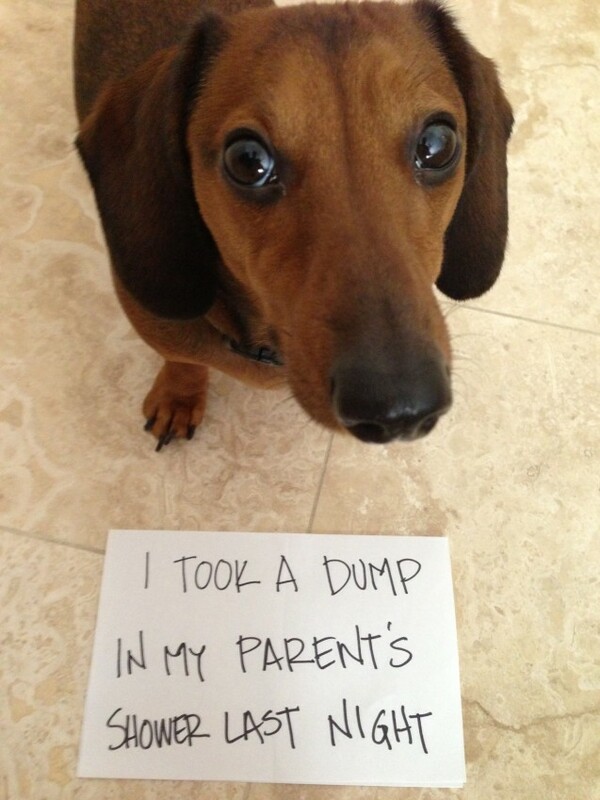 Posted August 6th, 2013 .
shoot, I WISH my dachshund would dump in the shower, would be a lot better than in the floor! Your Weenie and my Weenie could be siblings!! My Harley boy looks so much like yours!! Better than on the floor, or by your bed. This is a gift, if you ask me. What a courteous little dog. I’ve got two, and they sometimes thoughtfully use the bath rugs to pee. At least they are easy to clean. Gotta agree, easy(er) to clean. Either a carpet or the shower, take your pick.